Welcome to b-TALK and the latest information on the activities of the Canadian Honey Council. Below is the current news on some of the issues we are working on this month. It’s been a while since I put anything out through b-Talk and I apologize for that. My New Year’s resolution will be to communicate more often . In the meantime here are a couple important items for you to know about. 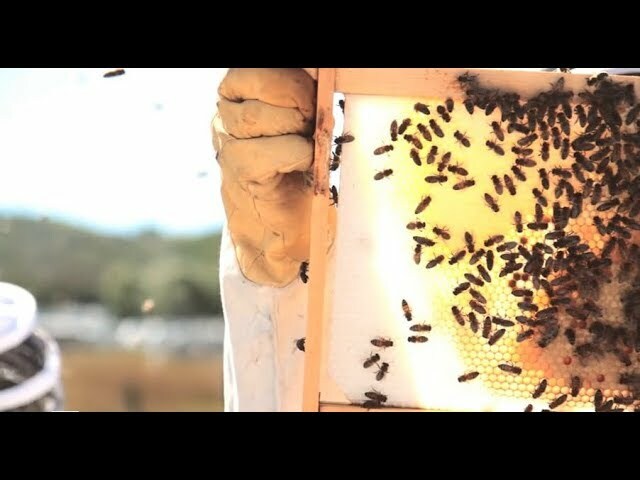 The Canadian Honey Council represents over 8000 beekeepers managing over 700,000 colonies from across Canada. Agriculture and Agri-Food Canada has estimated that pollinators contribute over $2.3 billion to the Canadian economy. Honey bees and the protection of pollinators in general have taken a centre stage as a result of pesticide incidents and exposure and the CHC would like to express its appreciation for the work that the PMRA has, and continues to do. However, in certain regions of Canada, our beekeepers are suffering from the prophylactic use of seed treatments and Canada’s pesticide regulatory agency must take rapid action to reduce/eliminate the ongoing impacts of pesticide use on bees. operations. Co-operative efforts for this to occur need to be undertaken immediately. and study by PMRA. The impacts of neonicotinoids on bees results from their overexposure to this new substance in numerous specific conditions. This overexposure results from both the extensive use of the products as protection on specific crops and it would appear, from the extended exposure period for the pollinators through the season. Furthermore, while the new lubricant may theoretically reduce the number of acute toxicity incidents by lowering the amount of dust in the air, it may not be the case if the neonicotinoids are used in higher concentrations (Poncho 500 instead of Poncho 250). Bees will still be exposed though various routes like run off water, pollen or nectar at levels that may be problematic. Again, more research is required to determine the extent but the time required to obtain the research must not interfere with the short term need to reduce the use of these pesticides. There is a growing body of evidence that the neonicotinoid charge in the environment is building up with the years of continuous use and both the level of exposure and the impacts for the pollinators seem to be increasing particularly in corn and soy growing areas. For instance, there is an indication that bee intoxications caused by the water puddles, is an emergent problem. While recognizing that beekeepers are not necessarily crop producers it is apparent that certain measures are vague: good practices are not specified. Promoting vague good practice measures is not an adequate answer when the problem results from overuse and not misuse. No misuse has been documented so far. The actual proposal focuses for good practices strictly on planting. While planting is indeed important, the focus must be enlarged and cover, upstream, the necessity or not to use neonicotinoid treated seeds. The first and most important good practice is to use neonicotinoid treated seeds (or other phytosanitary treatments) only after verifying for the presence of soil damaging pests at levels exceeding economical thresholds. With the assistance and active involvement of farm organizations whose members are growers of crops that use treated seed, supported as well by the companies that developed and apply the product, crop producers must be convinced that accurate agronomic information pertaining to pests can be obtained in the fall. That information can result in the planting of seed with or without pesticides and that their bottom line will not be adversely affected. In conjunction with the options available to producers, seed companies should then be able to make available an array of products that are appropriate for the risk. The CHC strongly suggests that Integrated Pest Management procedures should actively be promoted by PMRA. a) danger for the pollinators and routes of exposure (mentioning dust, foraging for water, nectar and pollen). The Canadian Honey Council also feels that it would be very beneficial if there was strong and prescriptive of wording that recommended crop producers have agronomic testing done each fall to determine the need for purchase of treated seed. This reinforces and educates producers while at the same time helps promote an integrated pest management system. Comment on requiring updated value information be provided to support the continued need for neonicotinoid treatment on up to 100% of the corn seed and 50% of the soybean seed. need for massive prophylactic seed treatment particularly given the fact that in all likelihood systemic seed treatment will be the wave of the future. Working cooperatively with all players in the industry, and where economics and agronomics dictate, the Canadian Honey Council would like to see implementation of integrated pest management procedures and a rapid and important reduction in the use of treated seed in corn and soy. Equally important is that we examine ways to reduce the risk of exposure to honey bees when use is required (according to specific technical standards). The Canadain Honey Council will be hosting its Board meetings and AGM at the Fantasyland Hotel in Edmonton Monday, January 27, 2013 and Tuesday, January 28th. The AGM portion of the meeting will be held at 1 pm on Tuesday where any resolutions, financials, elections and by-law changes will be discussed. A full slate of events for the week will be posted on the CHC website in the near future. Best practices and labels will achieve nothing, systemic pesticides like these Neonicotinoids and bees can not coexist! These toxins must be removed from the environment, this will not happen as long as Croplife Canada continues with its influence over the Canadian government and its mission of deny and distract.